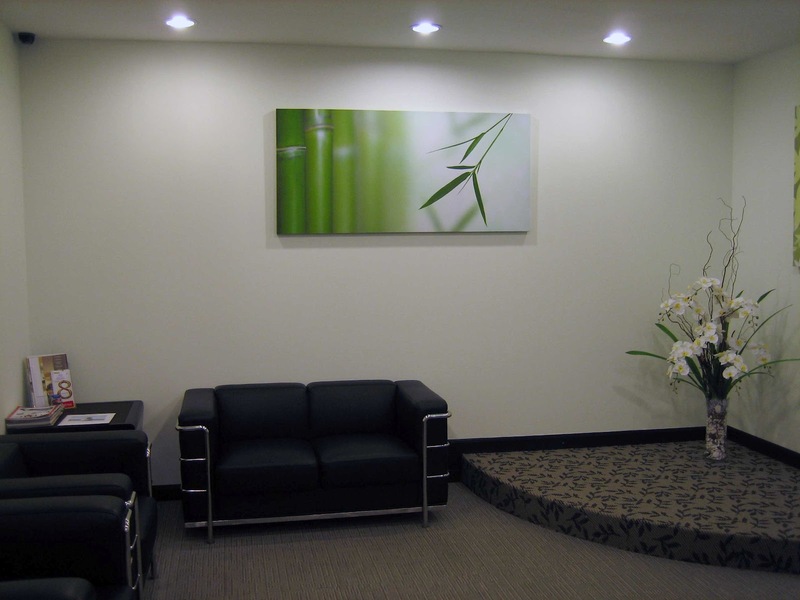 One of our regular clients, Soon and Poh, engaged us to change the canvas in her office to give it a new look. 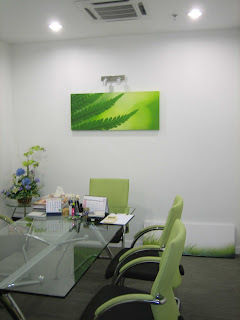 She prefers something natural and green, which suits her office atmosphere. 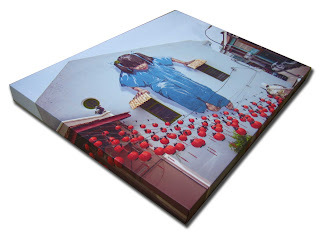 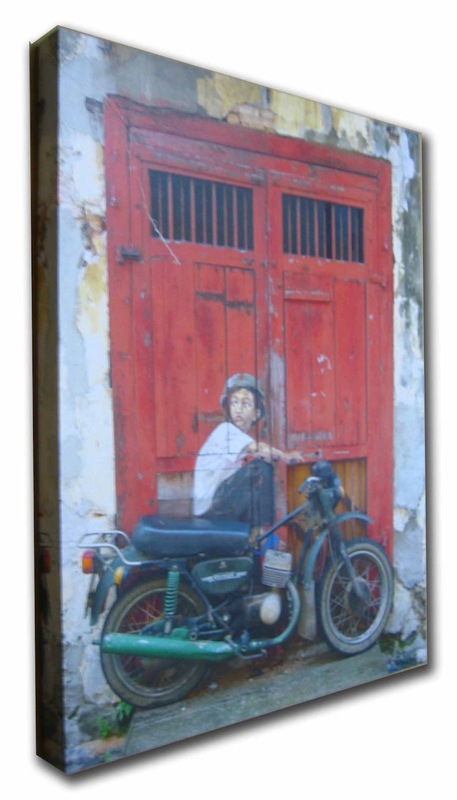 I think the hottest topic in Penang recently is Ernest Zacharevic murals of George Town. This project called "Mirror George Town" is created by him, an international artist, in conjunction with George Town Festival 2012. 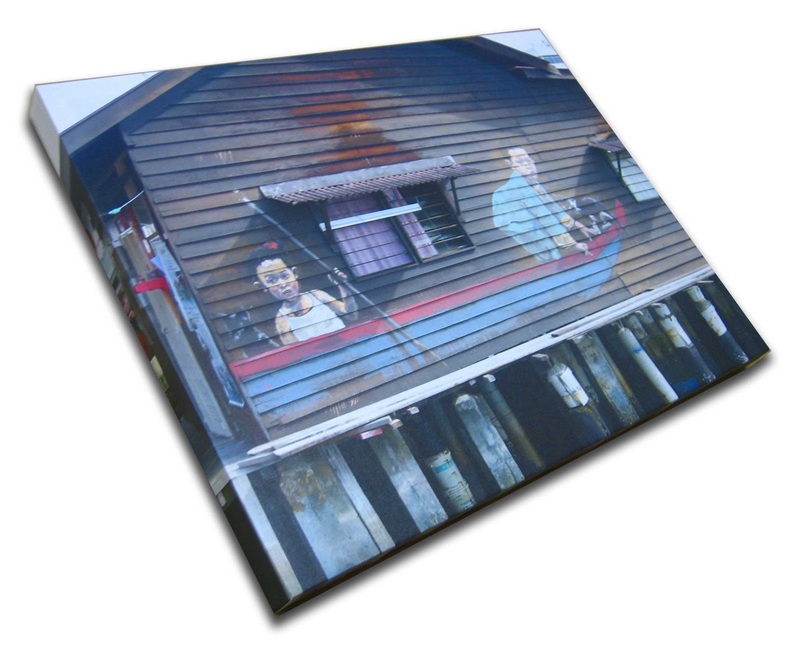 We are glad to have some of them printed on our canvas. 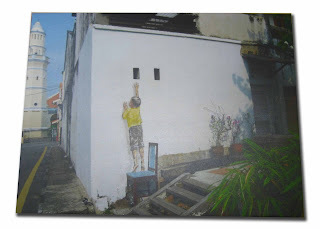 For more interesting stories about Ernest Zacharevic, please visit his Facebook. 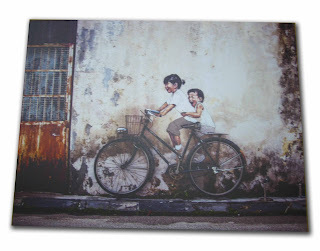 This the one of the popular murals, two little children riding on a bicycle.